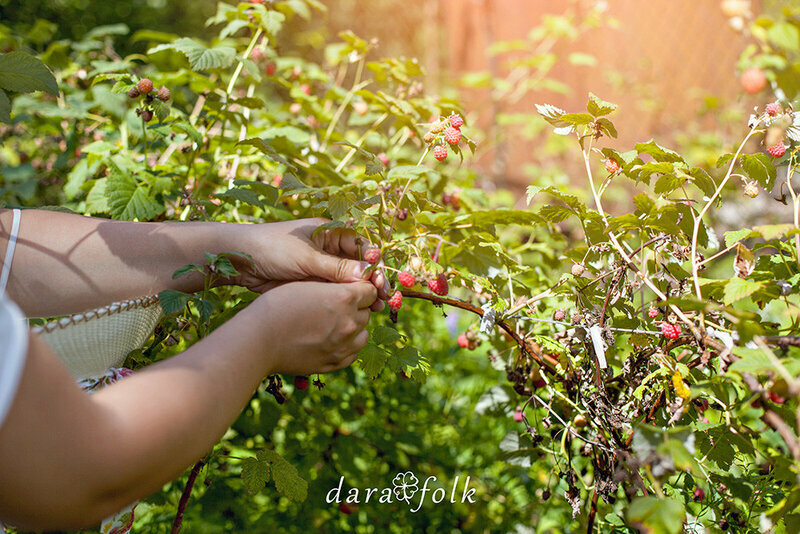 Home / DaraFolk News • Food / Gathering herbs for Siberian Pu-erh tea. 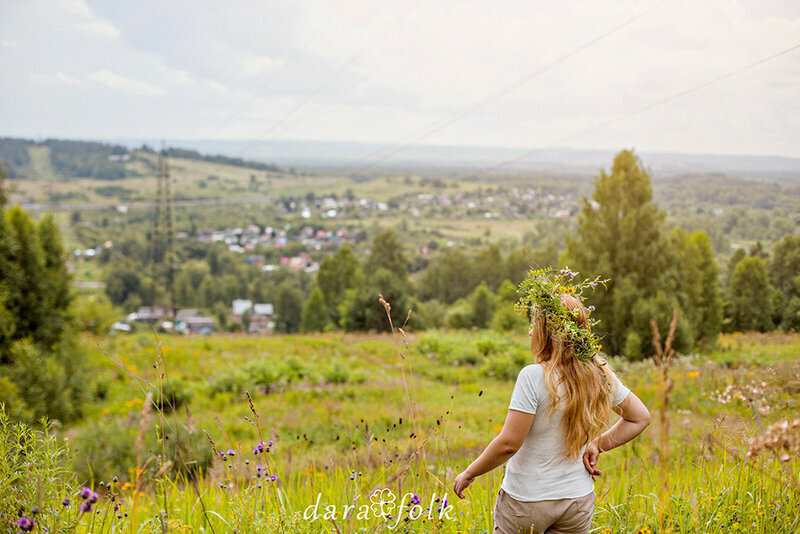 Gathering herbs in Siberia in summer. 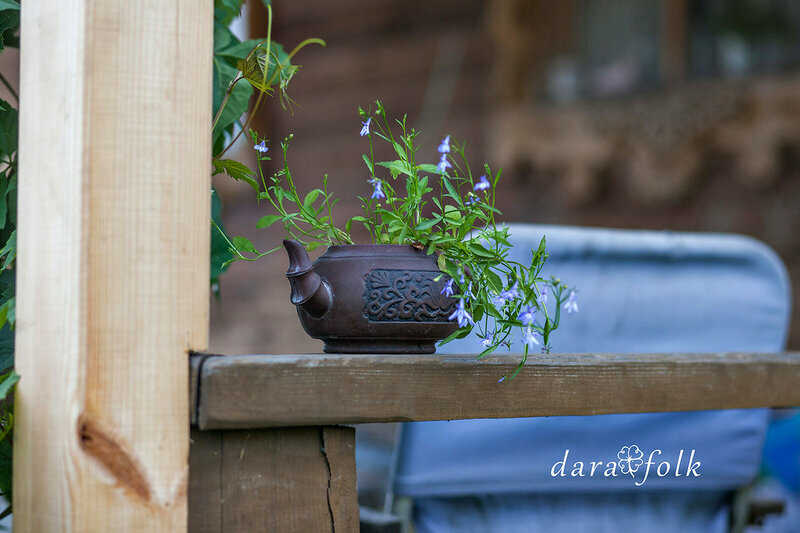 It is wonderful to gather herbs for tea in Siberia! 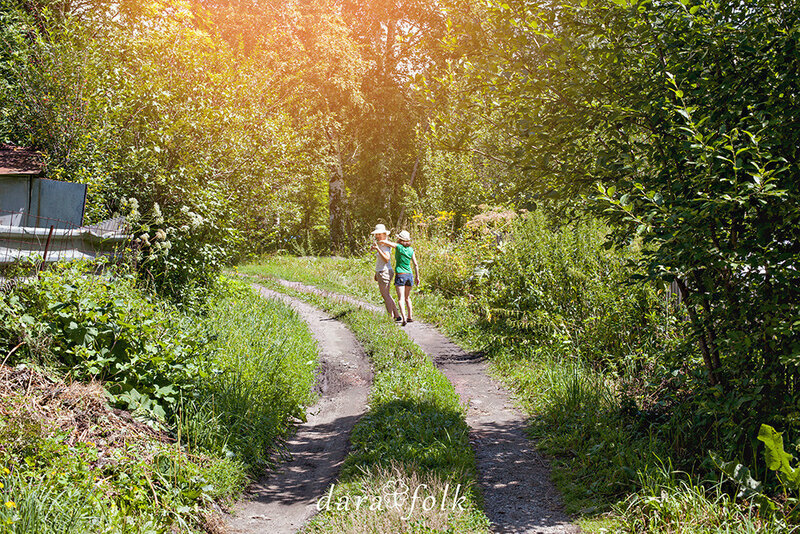 Grass is above your head, fresh air and invigorating walk along the country road – everything plays for the benefit of your health! And the beauty and richness of the Siberian region are fascinating. 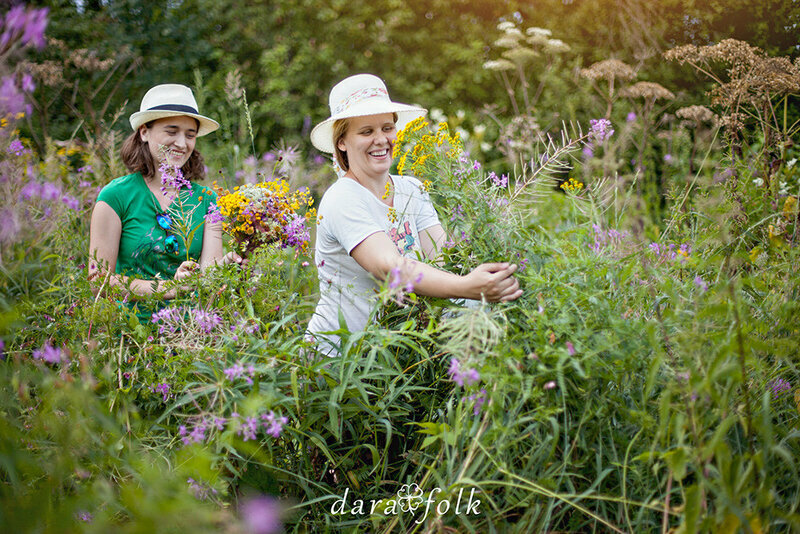 For a soulful tea party we decided to collect some fireweed, popularly it is also called willow-herb. It is a beautiful pink flower, a very healthy herb. 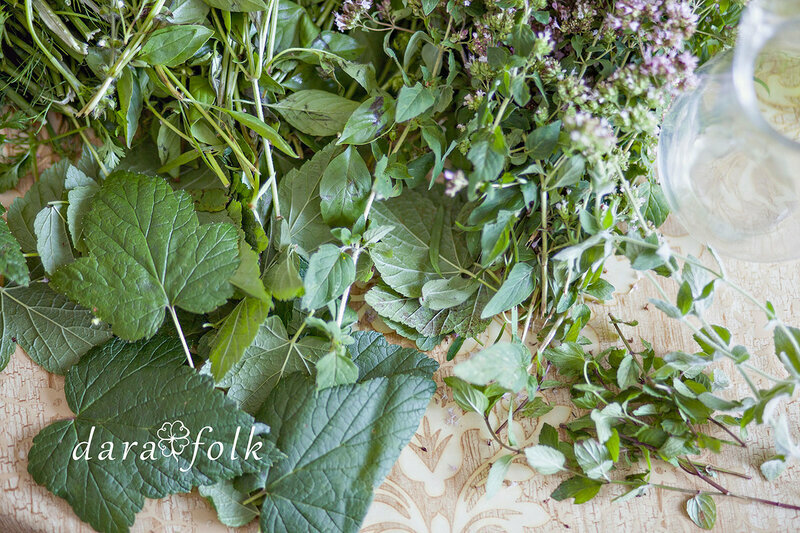 Moreover, roots, stems with leaves, flowers are all used for brewing. But we needed only leaves for our tea. They are perfect for a special way of making tea - fermenting. 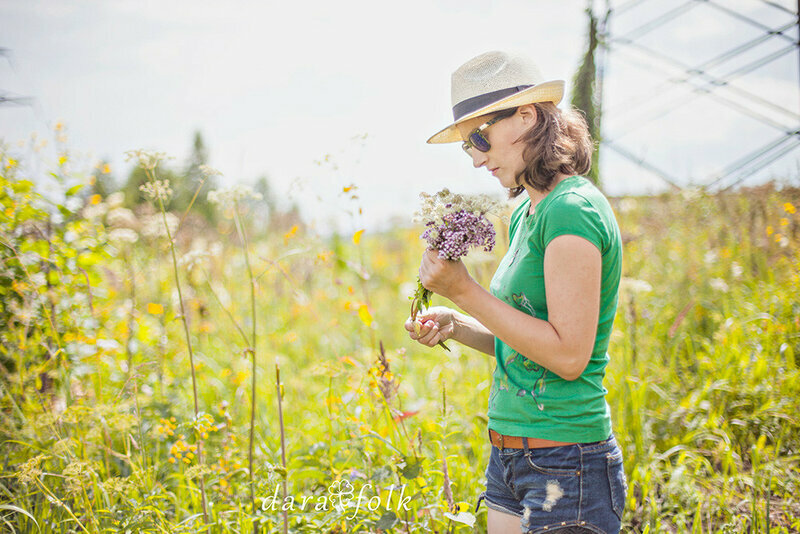 This time we wanted to enhance the flavor and add some sweet honey plant to our tea, one of the favorite herbs of our region, meadowsweet. For this kind of tea we collected only leaves as well. The recipe for the so-called Siberian Pu-erh tea is very easy: you need to carefully mash freshly collected leaves until juice exudes, and let it rest under pressure in a cold place for a few days. Then you need to dry them out in oven at low temperature. If you love the Pu-erh to be richer, we recommend to raise the temperature at the end of drying and roast the herb to dark brown. 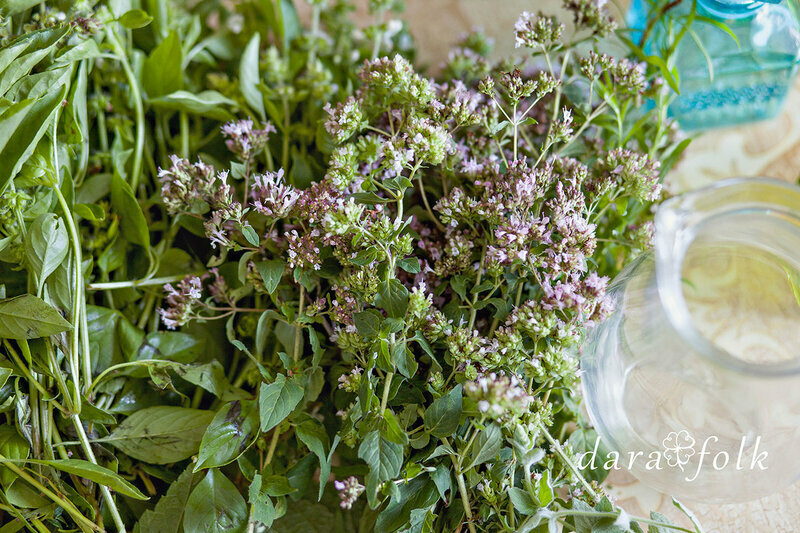 If you want to add some creativity, you can complement the flavor and aroma of the tea with some dry herbs: marjoram, peppermint, lemon balm. 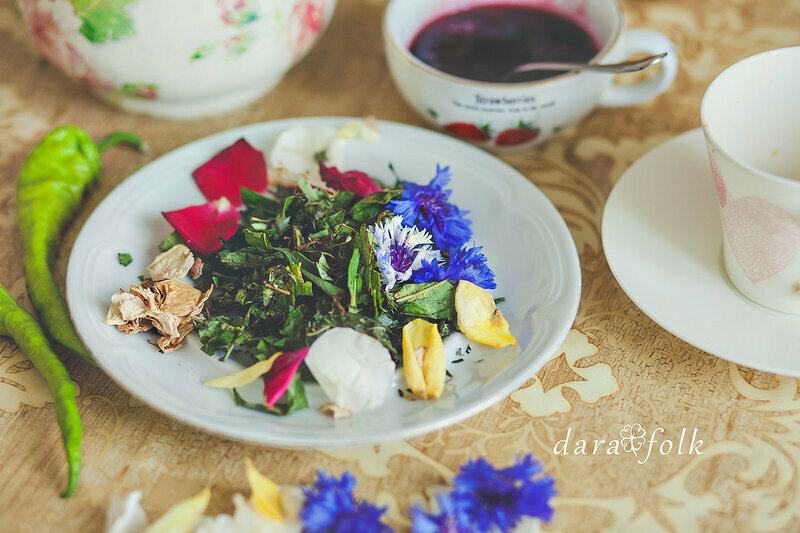 Also you can add some black currant and strawberry leaves; cornflower and rose flowers to the tea. There are a great number of options; you just need to select the ingredients to your tasting and mood. Tea party is always a kind of magic that you can share with your friends, talking and dreaming about new adventures and journeys in a warm atmosphere. 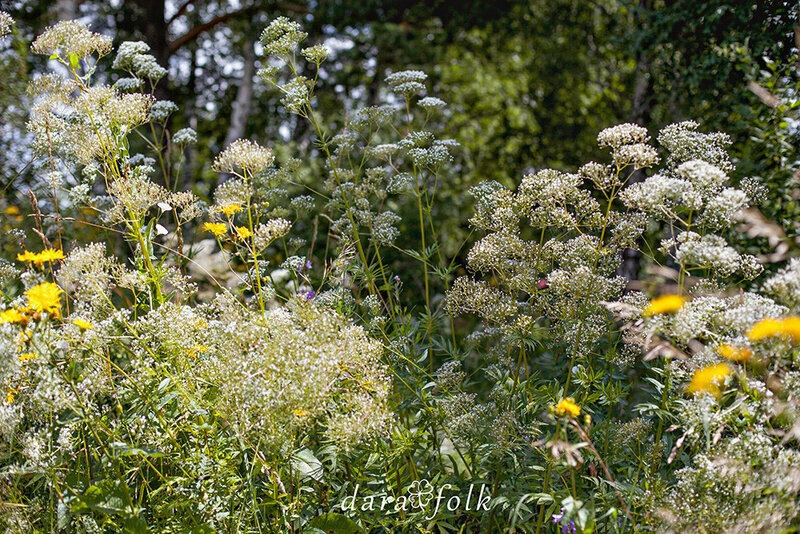 Beautiful bouquet of the summer flowers.